Stand mixers were invaluable to me in the early days of my bread making adventures and if you want to bake bread in the oven rather than a bread maker they can really help with the kneading. Whether that’s because you feel like you need extra help in the strength department or you just lack the time to do it properly a stand mixer will be a good compromise. There are a lot of free standing mixers around, but not all are suitable for bread so I hope this article will help you in choosing the best stand mixer for bread dough and making bread. Why use a stand mixer for bread making? While I like making bread solely by hand, in the beginning it was always hard for me to know when the dough was ready and to even contemplate what the change in texture looked like. When I started using a stand mixer to knead the dough it took all the hard work out of it and I could really see that dough does change when it’s kneaded long enough! I know that you’ll understand if you’ve ever struggled to knead by hand for a long time! It can really save a lot of time as well – just like using a bread maker, you can throw your ingredients in and let it mix the dough while you get on with other things. Perfect for busy people! Finally, if for any reason you don’t have a lot of strength in your arms, whether that’s through ageing (happens to us all!) or physical problems then it’s great because it really does take the tough kneading work completely out of the bread making process. Bread makers have their place but if you like artisan loaves or don’t like the hard crusts that bread makers can produce then making by hand is your only option. There’s no need to shun all kinds of mechanical help though! 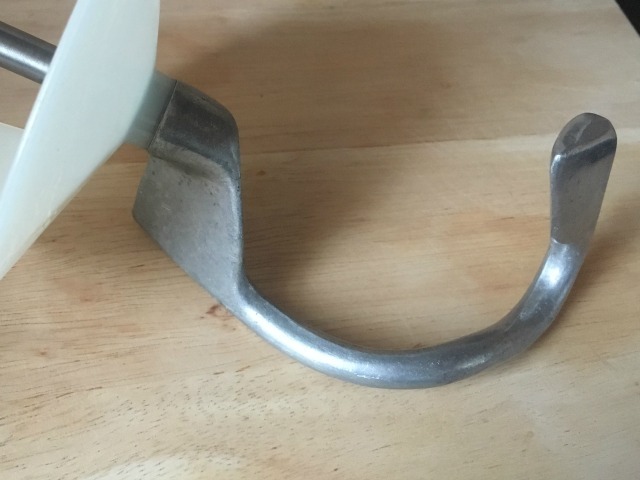 It is really the best bread dough mixer and in my opinion a great addition to your kitchen. Of course they can also be cake mixers too so if you like baking in any form it’s worth the investment. splash guard – this helps reduce flour getting everywhere! Yes, you can make bread in a Kenwood mixer! Kenwood are the masters of a good stand mixer and this is a great one. 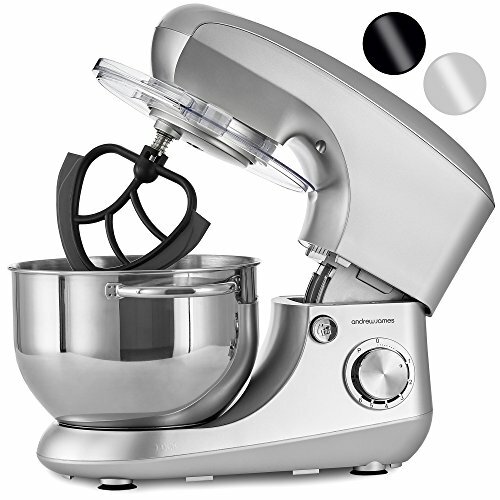 This one is not as expensive as the classic Kenwood Chef model, which is also a good option if your budget is higher and looking for a food mixer with more bells and whistles, but if you want a simple mixer, that is also compact, this is just right for all kinds of baking. It has a good sized 4.3L metal bowl which can hold up to 500g of bread dough and of course the dough hook attachment too. The motor comes in at 900W so is plenty powerful to get a good bit of kneading going. See my in depth review on this model here. Check out this mixer on Amazon here. 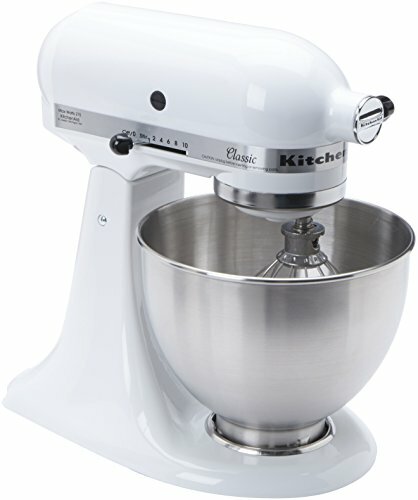 The KitchenAid stand mixer is definitely at the top end of the mixers that are available – both in style and in price! They are a much coveted item with their retro styling but they are also a really good mixer as well. Although it doesn’t have a very powerful motor, only 250w, there are many reports of it being great for mixing bread dough. 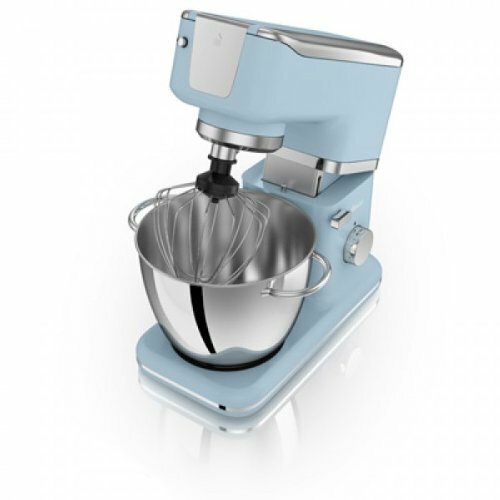 If you’re wanting a mixer that does way more than just mix, this is a great choice as there’s loads of attachments you can get like mincers or pasta makers to make it a really multi functional appliance. Low powered motor – the Artisan model has a slightly more powerful motor though. Check more reviews of this product and latest price on Amazon. Finally we’re looking at this one from Andrew James and I would say it’s probably the best budget stand mixer on the market at the moment for bread, however the models have changed recently and they now have a 800 watt machine rather than 1300 as it used to be. As we know, power is important when it comes to bread, however if you’re not solely using it for that purpose this one might still be worth considering as it’s still a pretty stellar machine and is definitely capable of handling bread dough. It comes in a few different colours which is nice – you can get it in black and also silver. It has a huge bowl – 5.5L, which can handle a good amount of dough or cake mix and it also has a 800w motor so still a nice amount of power. It is a compact design and also comes with silicone beater as well as some other attachments. This kitchen mixer from Swan is another that comes in a variety of colours to match your kitchen – a nice touch since often mixers are kept out on the work surfaces. You can get this in blue, red, green, cream and black and they all have a nice vintage and retro feel to them. This is a really good, cheap mixer for dough that’s at a good price with lots of good reviews, many of whom say it’s really quiet and mixes dough really well. It has a 4.5L bowl so is a good capacity too. Finally there is the premium model which is great if you like to do a lot of baking and need a model that is up to the job. 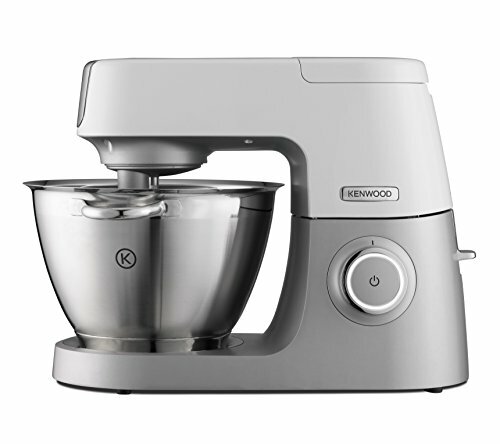 The Kenwood Chef Sense is reminiscent of the older Kenwood Chef stand mixers – it is sturdy and it’s powerful. This one has a 1100w motor so one of the most powerful around. It’s excellent for kneading bread on a daily basis and will last a really long time. It comes with all the Kenwood attachments you need including the bread dough hook. See my in-depth review of this model here. It also comes in a few nice pastel colours which I like – the green is especially pretty! 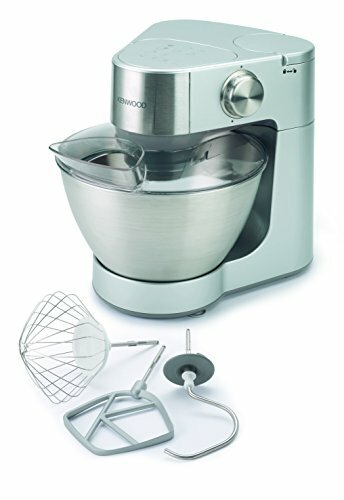 See the latest price of this Kenwood stand mixer on Amazon here. I hope you’ve found this article useful for you and that it’s helped in making your choices a bit easier – when looking for a mixer for bread kneading it’s so important to choose wisely and not just based on looks! The best stand mixer for bread will have it all – good looks and a good powerhouse motor behind those looks! What about Karmin professional stand mixer? I’m not familiar with that one – I’ll have to look in to it though, thanks! I bought a Kitchen Aid mixer 6 years ago. It was hardly used until last year when I started making bread. Then the motor struggled and packed up. It has been repaired but cannot trust it.